Feng Yuan, a renowned painter and art educator, was born in Shanghai in 1952. Feng Yuan’s work features the representational style of realism. As a contemporary painter, he poetically focuses on current issues. His art unites timeless thoughts, ideas and events that stretch beyond time and space, creating historic characters and themes. Feng Yuan was born in 1964 in Guilin. He studied painting from young and received his B.A and M.A degrees majoring in block printing from Guangzhou Academy of Fine Arts in 1984 and 1990 respectively. Later he turned to study the history of architecture and designing theories, and received his Ph. D degree majoring in architecture studies from South China University of Technology in 2000. Presently he is associate professor and head of the Department of Design at the School of Communication and Design of Sun Yat-sen University. He is a famous for his traditional Chinese paintings. His traditional Chinese art work such as Under the Apple Tree, Star Fire, Philosophy of Quyuan’s Poems, Wisdom of the Century and others were selected in the fifth, sixth, seventh, eighth and ninth National Fine Arts Exhibitions, and won more than ten awards including golden, silver bronze awards and an award of merit. His works are housed by National Art Museum of China, China Art Institute and American East Asian Art Museum, etc. 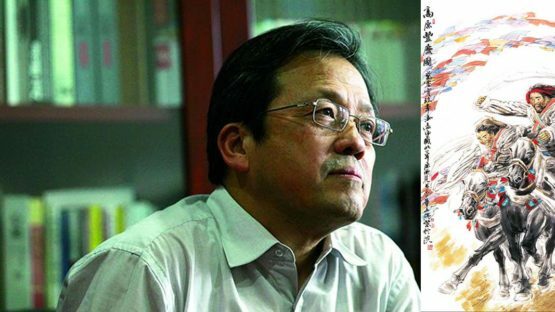 Apart from his teaching and academic researches, Feng Yuan is a successful designer of scenic spots and public arts, and receives many favorable comments for several of his prize-earning designs.He is currently the Vice President of Central Reserach Institute of Culture and History.